It’s interesting to see more and more commercials on television for medication advertised to handle all sorts of illnesses, and doctors are quick to prescribe. What few people realize is that with any chemical substance you put into the body, you are leaving residues that stay lodged in your fatty tissues for years after. These residues can build up and can act as toxins in the body causing side effects later on in life. Chiropractic treatment can resolve many physical issues with no need for any medication and thus minimize toxins in the body. A common misconception is that chiropractors only resolve neck and back issues, so many people don’t think of them when looking for solutions to other physical problems. Chiropractic treatment can resolve a multitude of conditions such as asthma, frequent colds, arthritis and even fertility problems. This is because chiropractors focus on the nervous system of the body, the system which interconnects and regulates the body’s functions. Many unwanted conditions come from malfunctions of this system. With a traditional M.D. one will usually be prescribed medication to treat their condition. While this is necessary in some cases, a great many can be resolved without the use of medications. Medications also often carry unwanted side-effects, and while they do not occur in the majority of cases, they can be severe. There are benefits to medication, no doubt, but an effective treatment that doesn’t involve them would be a better course to take. One should at least consult with a professional chiropractor to see if their condition could surrender to proper chiropractic care. Another point is chronic pain from toxins in the body. Sufferers of arthritis and bursitis will often rely on a steady dosage of pain killers. These pain killers do nothing to handle the problem, they only mask it. 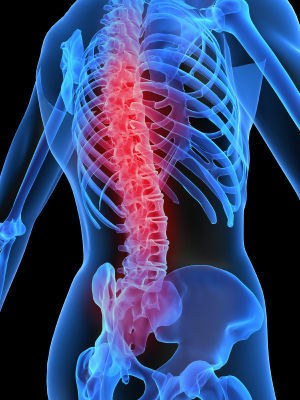 There are chiropractic treatments available that can help to alleviate or even rid the patient of these conditions. If you have been dealing with any unwanted condition that has persisted despite medication, seeing a chiropractor would be a wise idea. You may be able to minimize your chemical intake, as well as find permanent relief.